To promote his new film song LP Rated PG (see here), Peter Gabriel was interviewed on BBC Radio 6, which was aired yesterday. Peter said about taking a longer break in recent years: "...my wife was ill for a while, so I'd slowed down and being a carer a good while, but now I'm very happy to say she's doing very well, so I'm getting back into music making and really loving it." About the kind of stuff he is currently working on: "...and there's is about 50 ideas I'm working on - working in my usual snails pace – but there will be something coming out soon and all this time I had been working on new stuff so there should be ... I mean there is stuff that comes through for films, like the Snowden song and then you have Down To Earth, and there was a film about religion etc." About a new record: "... I'm hoping to get the songs nailed by the end of this year and then open it up to the band and get a record out." About the style and atmosphere of the new material: "Well I think that hose two songs, Show Yourself and the Snowden one, are slightly over direction but there's a wide bunch in there, so it depends on what makes the final cut. And I'm also trying to do some simple piano versions of things which I don't know being enough to make a whole record or not, but that's something I'm looking at." 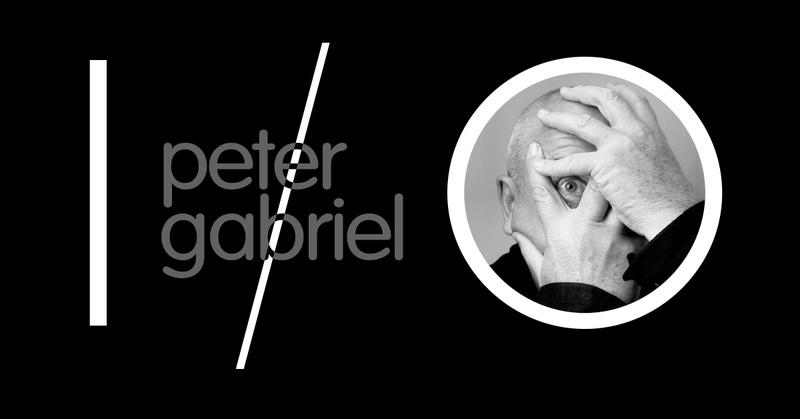 A new Peter Gabriel studio album with new songs has been subject to discussions since he announced the follow up to UP back in 2002, which a then scheduled release for 2004. We have compiled all this in our website special, called The Making Of I/O.